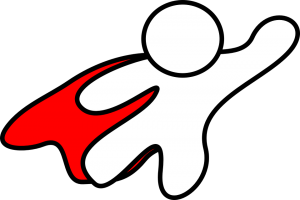 Grades K-3 Writing Prompt: If you could have a super power, what would it be? Tell why you want this power and what you would do with it. Grades 4-6 Writing Prompt: If you had a super power, what would it be? Why? What would you like to do with that power? The power can be something you can do (e.g. recite the alphabet backwards, expert on dogs, throw perfect passes, etc.) or something you imagine (e.g. talk to animals, fly, superhuman strength, etc.). Write a story about how you would use your power. 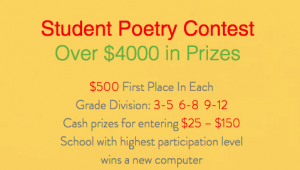 Letters About Literature is a reading and writing contest for students in grades 4-12. Students are asked to read a book, poem or speech and write to that author (living or dead) about how the book affected them personally. Letters are judged on state and national levels. 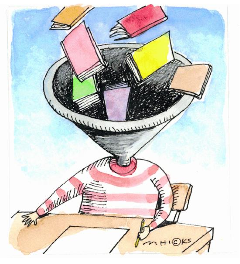 If you are in grades 4-12, you are eligible to enter the Letters About Literature reading and writing contest. Here are the Rules and Guidelines. Please turn your work into your EY coordinator no later than Jan. 9th, 2015!!! Some books challenge your brain. Others touch your heart. Some books do both! book—either through thoughts or emotions—is a key to understanding yourself. Below is an excerpt from a winning letters from a past LAL contest. page, each new chapter, I realized The Giver was different. I couldn’t understand why your characters had no recollection of animals. I didn’t understand the Ceremonies of Age. I didn’t understand what was meant by Release. Release. When I got to that part of your book, I became frightened . . . I have a younger sister. I reread the passage, hoping I had interpreted it wrongly. But your chilling words were still on the page. . . .It wasn’t until the end that I realized this book was a warning to this generation and to the next, to ten generations from now and 100 generations from then. It is up to us to make sure that our children’s children will always be able to ride a sled down a snowy hill. . . .